Bincho Yakitori Brighton has gone through a few reincarnations, first appearing fresh-faced and vamped up with an impressive skyline seat in the Oxo Tower in London before slipping out that frock, throwing on a proverbial pair of skinny jeans and setting up shop in funky Soho with a secret subterranean whisky bar called Mizuwari beneath it. 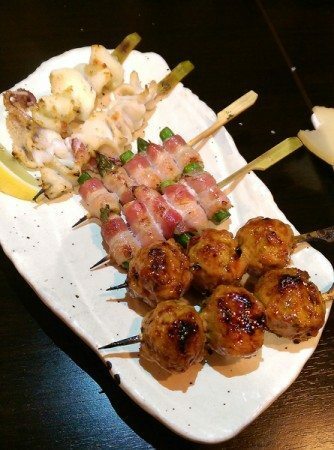 Now Bincho Yakitori sits right smack in the middle of ‘restaurant street’ aka Preston Street. Izakaya is an informal watering hole that serves Japanese drinking food, the equivalent of Japanese style tapas or small plates (sometimes with heavier options) designed for a group of friends or, when in Japan, salarymen, to nibble on while tossing back beer, wine and sake until the black dead of night, claiming kampai! as their mantra. 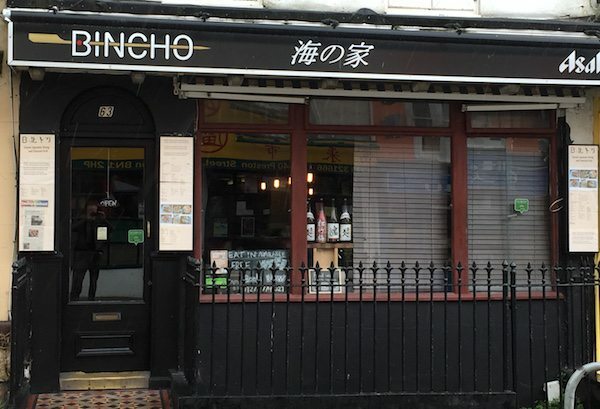 Bincho in Brighton is textbook wabi-sabi; a tiny space with only second-hand wood tables and chairs, bar seating and hanging industrial style lights, ripe with minimalism and stark coolness. The all-Japanese front-of-house staff dressed head-to-toe in black and pulsing IDM sounds create the authentic and cool atmosphere. You’ll need a good moment or two to fully digest the exciting menu, which is essentially a collection of Japanese “snacks”, both cold (think edamame, kimchi or seaweed salads) and hot with an emphasis on yakitori or grilled foods such as chicken wings, charred sweet corn drenched in miso butter or grilled rice cakes. There are also fantastic daily specials scribbled on the blackboard. 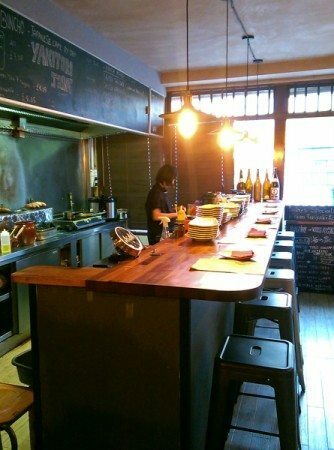 The idea at Bincho Yakitori is to order a selection of small plates to share with your fellow diners. The drinks list is almost as important as the food and Bincho takes it as seriously as you’d hope. There are craft beers such as the ever-popular Hitachino Nest White Ale, a mild white beer which is infused with coriander, nutmeg, orange peel and orange juice, as well as standard Japanese favourites such as Asahi, Kirin, Sapporo and Hite – a Korean beer. There are also some lovely sakes (for indecisive sake lovers, you can order a sampler, which gives you 3 different sakes), sweet plum wine, carefully selected red and whites, Prosecco and champers, a couple Japanese whiskies and for those opting for something a bit more high octane, shochu (a traditional Japanese distilled spirit) served in 50ml pops. There are also beautiful teas; the hojicha is recommended, which is a smooth-tasting, roasted green tea that has a delicately smoky and nutty flavour. Absolutely superb food and a relaxed and informal atmosphere. 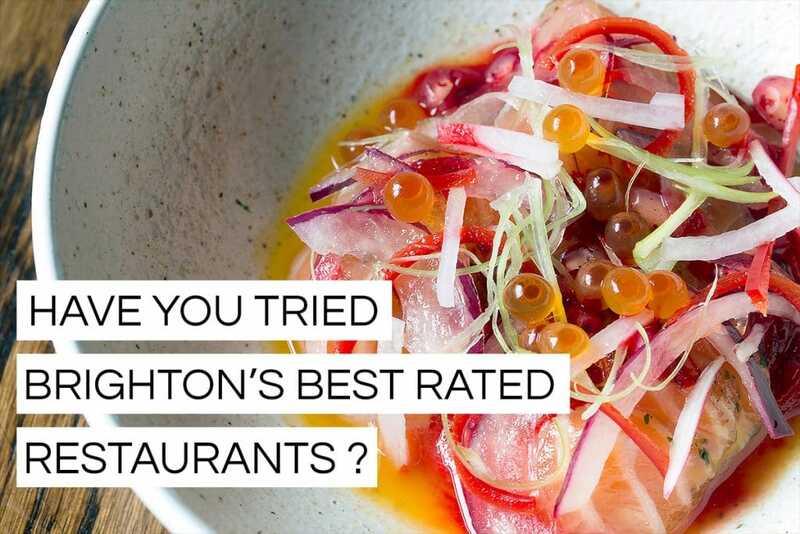 Bincho Yakitori has long been a favourite of Brighton chefs and foodies and they tried to keep it secret but was just too good to keep to themselves. Inexpensive and unpretentious, this is a place for real food lovers looking for something different. 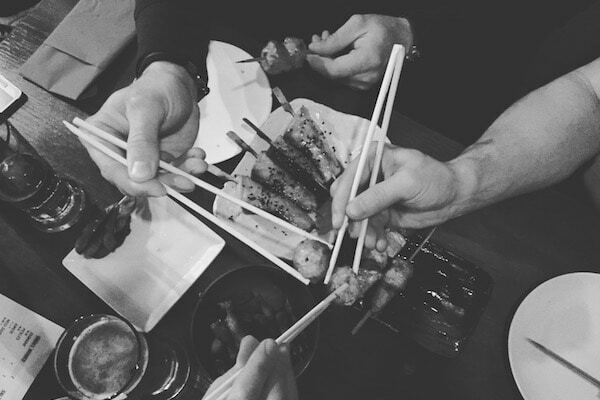 Bincho Yakitori is one you should definitely book a seat for as they fill up fast, and you don’t want to miss out on this one! The Japanese bar food is perfect for sharing, and the sake flight is worth a try! My current favourite restaurant! Whenever we have friends come down and stay I always take them to Bincho as it’s relaxed, great value and absolutely delish! I recommend the miso aubergine and pork belly ?